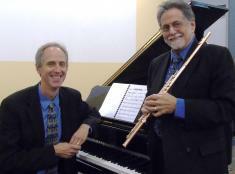 The stellar jazz duo of Peter H. Bloom, flute, and John Funkhouser, piano, will perform an exuberant show Celebrating Duke Ellington on Sunday, April 28, 2019 at 4:00 pm, at the Amherst Town Library, 14 Main Street, Amherst, NH 03031. The concert will be the concluding event in the Library's winter concert series. Free and open to the public. For information: 603-673-2288. Bloom and Funkhouser will celebrate the 120th birthday of the great Duke Ellington (born on April 29, 1899), with classics like Take the A Train, Don't Get Around Much Anymore, Caravan, In a Sentimental Mood, and other Ellingtonia including Cottontail, I'm Beginning to See the Light, and the lush ballad Chelsea Bridge by Ellington's longtime composing partner Billy Strayhorn. Peter H. Bloom performs in the U.S., Canada, Europe, Asia, New Zealand and Australia, and appears on 45 CDs. He has shared the stage with Charles Neville, Geri Allen, Sheila Jordan, Jaki Byard and other jazz greats. Jazz Improv praised his "exquisite melody," while ArtsFuse wrote, "Bloom's solos on flute and amplified flute are always highlights of a performance." John Funkhouser has appeared with notables like Luciana Souza, Tierney Sutton, Ran Blake, Herb Pomeroy, Laszlo Gardony, Stan Strickland, and piano savant Matt Savage. He has performed at Birdland, Blue Note, Dizzy's in New York, the Kennedy Center, and other top venues from Kansas City, New Orleans, and Chicago to Paris, Singapore, and Hong Kong. 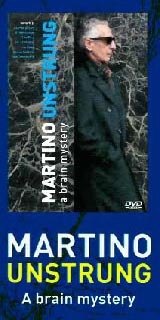 He teaches at Berklee College of Music.